Raven™ ‘FL05-627’ | Florida Foundation Seed Producers, Inc. Description: Raven™ ‘FL05-627’ flowers later than most Florida blueberry cultivars, about the same time as that of the ‘Star’ (U.S. Patent PP10,675) and ‘Windsor’ (U.S. Patent PP12,783). Raven™ ‘FL05-627’ has high pollen abundance and a desirable growth habit (resembling ‘Star’). Its early leafing pattern coincides well with its flowering time. In experimental trials, the mean date in which half (50%) of the flowers opened was February 9th (early February). Berries of the Raven™ ‘FL05-627’ variety cluster loosely on the plant, and maintain good firmness on the bush for a long time after maturity. 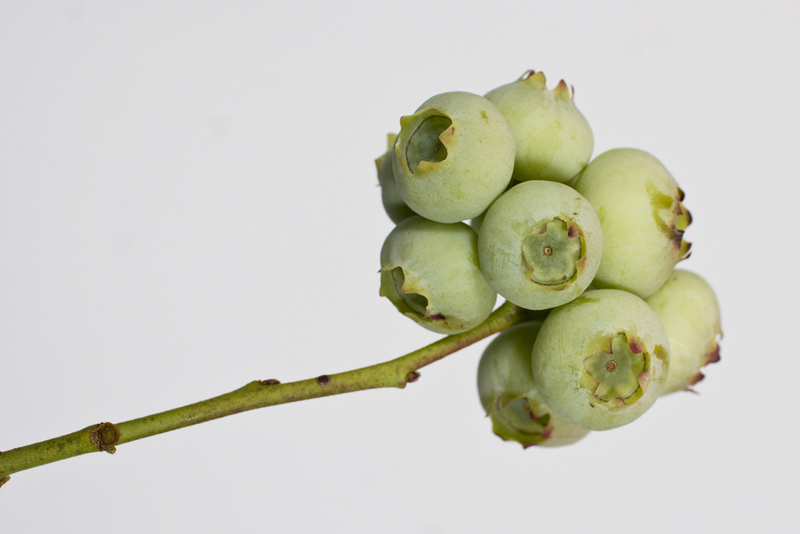 The berries are extremely large, high-quality, and posses low acidity and mild flavor. Berries of Raven™ ‘FL05-627’ are pleasing to the eye, but the picking scar can be compared to that of ‘Star’ and ‘Windsor’. Berries detach from the plant with little force and tend to ripen mid-season. In experimental trials, the average date by which half (50%) of the berries ripened was May 2nd.